We all know that recruiting will not look like it does now in 10 years. But what will it be like? Which skills will be useful, and which ones will be obsolete? After several generations of developing more powerful machine-learning tools and neural networks, computers will be able to speak at a level where humans cannot tell if they are speaking to a machine or a human. They will have vastly increased knowledge of human social behavior after years spent analyzing social media and online interaction. They will have analyzed vast amounts of data and be highly skilled in narrow areas of expertise. Their power will be integrated into programs and apps, guiding the user at each step. While human judgement will still be valued and necessary, many of the other traditional duties of the recruiting profession will likely be replaced with automated tools. Scenarios are useful tools for thinking out of the box, for challenging us to think about what possible things might happen so that we can prepare for any eventuality. Some scenarios are very “out there” and may never be reality. But by thinking of these wild possibilities we shed light on the elements of them that could happen and what we would do if they did. I have sketched out four scenarios for recruiting in 2029. What do you think? Which one is most likely to happen? How do you react to these? How would you change your behavior if any of them were to come true? Please leave your comments, vote for the most likely one, and leave your ideas for other scenarios. Computers, artificial intelligence, machine learning, and blockchain will have automated recruiting. Hiring managers will not need recruiters, as they will have access to powerful apps that will do everything from creating job requirements to sourcing, screening, assessing, and recommending an appropriate salary. They will also communicate with candidates and, by using personality screening, engage them in ways guaranteed to interest them. With access to corporate data, strategic plans and other business data, these automated systems would help decide which positions should be permanent, contracted, or part-time. Candidates also have access to automated tools that locate potential openings for them, assess them for those positions using the candidate’s social media, and offering them self- assessments. Apps will analyze corporate financial data to ensure that a firm is stable. They will also help match personal and career aspirations to the position. These apps interact with the corporate apps and together they recommend position and candidates. Computers, artificial intelligence, machine learning, and blockchain will augment recruiting. Hiring managers will need only brief interaction with a recruiter, as they will get advice from online tools and apps. Recruiters will remain essential to hiring success, as they will need to engage candidates, understand and overcome objections, and close on offers. While the computers will help identify job requirements and offer advice on selection, the recruiter will still make final decisions along with the hiring manager. Candidates will use apps for access to more in-depth information about the company, its strategic and financial goals, and possible career opportunities. Tools such as Glassdoor will have evolved to be able to predict whether or not a candidate would be happy in that organization based on their personality and company knowledge. Hiring managers will be offered a series of self-help apps that can give them some independence from recruiters. For example, they could choose to use an app to help them create job requirements and give them advice on where to advertise the job. Another app might provide candidate assessment and rank candidates for the hiring manager. Still other apps could create offers and suggest salaries. But whatever apps they choose, they will still require a recruiter for advice and to do certain things such as interview candidates and close them. Candidates will also have access to these self-service apps and use them to locate ideal positions that match their skills, personality, and values. The apps would provide comparisons of various similar jobs, and provide pros and cons about each one depending on the company reputation and Glassdoor reviews, the candidates’ values and skills, and, when available, the reputation and personality profile of the hiring manager. Because automation has progressed so far, there is no need for anyone with the traditional recruiter skill set. Sourcing is automated, as is matching, screening, assessment, and all the administrative duties. 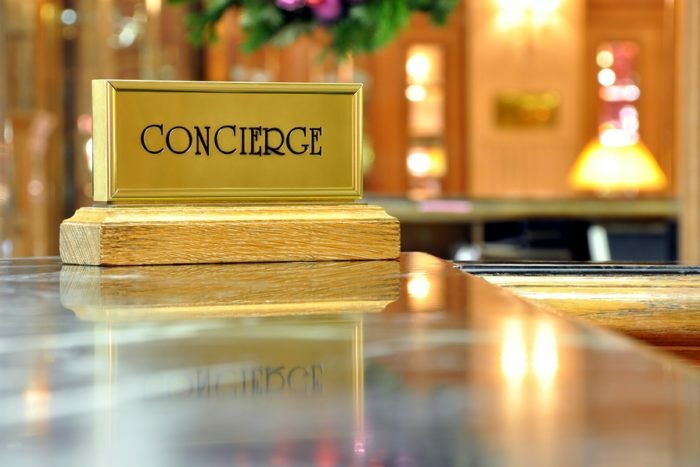 A new job has emerged: Talent Concierge. This person engages candidates, closes them, and provides career guidance. They also influence and guide hiring managers using analytics and big data to help shape opinions. The talent concierge also has coaching skills and does high-level quality control and troubleshooting of the automated systems. Talent concierges may also guide candidates and provide advice and career coaching.